One of my favorite health books is the best-selling Prescription for Nutritional Healing by certified nutrition counselor Phyllis A. Balch and her husband Dr. James F. Balch, M.D. In it, the Balch’s document 25 different health conditions for which colloidal silver has been found to be astonishingly effective. And for each listed condition, they briefly explain how colloidal silver has been demonstrated to help. 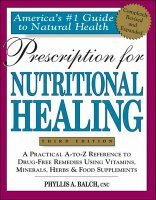 We highly recommend the Balch’s book, Prescription for Nutritional Healing, which is usually available on Amazon.com. Since its inception, it has become the most quoted reference book in health food stores around the country, and without a doubt is one of the best selling and most thoroughly useful books of all times on the topic of natural health and healing. For far more detailed information on colloidal silver usage – including three full chapters of specific dosage information for a wide variety of health conditions and diseases – see the newly updated, 547-page book, The Ultimate Colloidal Silver Manual at http://www.ultimatecolloidalsilvermanual.com/. The Ultimate Colloidal Silver Manual is now the world’s #1 bestselling guidebook to colloidal silver and its usage. You might also want to look into getting an inexpensive copy of the brand new, 60-minute, studio-quality Colloidal Silver Secrets Video, at http://www.colloidalsilversecretsvideo.com/. This powerful new video is the perfect resource for anyone wanting to learn the basics of colloidal silver usage in a quick, concise, visual format. You’ll also learn how to make your own colloidal silver with a high-quality home colloidal silver generator, how to pick the right colloidal silver generator for your specific needs, as well as how to construct your own emergency colloidal silver generator within two minutes, out of standard 9 volt household batteries. Thank you, Sarah. If you have any questions about colloidal silver feel free to post them in the comments section. Questions often give us new ideas for blog posts. just saw your posting on the msn/newsvine blurb about the guy with argyria. I made a comment there as Slvrsrfr. Good information. I look at c/s as an emergency backup and long term health aid. Many readers have told me they either spray colloidal silver directly onto the STD breakout several times a day, and let it air dry each time, or use a colloidal silver gel such as ASAP Ultimate Skin and Body Care. Most users tell me they also take an ounce or two per day during periods of breakouts. I've seen VERY good results reported from doing this.